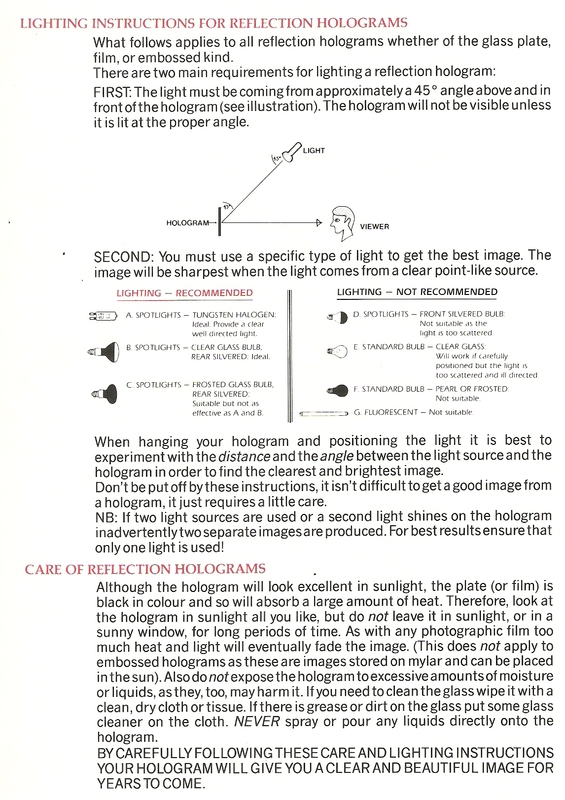 Holography – A Brief Introduction, copywrite AH Prismatic Ltd, founder Barc Thompson. 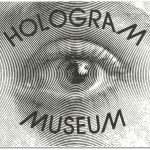 A pioneer company established in Brighton England 1982 whom HoloMedia AB & Hologram Museum/Gallery represented in Sweden for many years as a retailer and whole seller of holographic gifts and hologram pictures, new at the Scandinavian market. 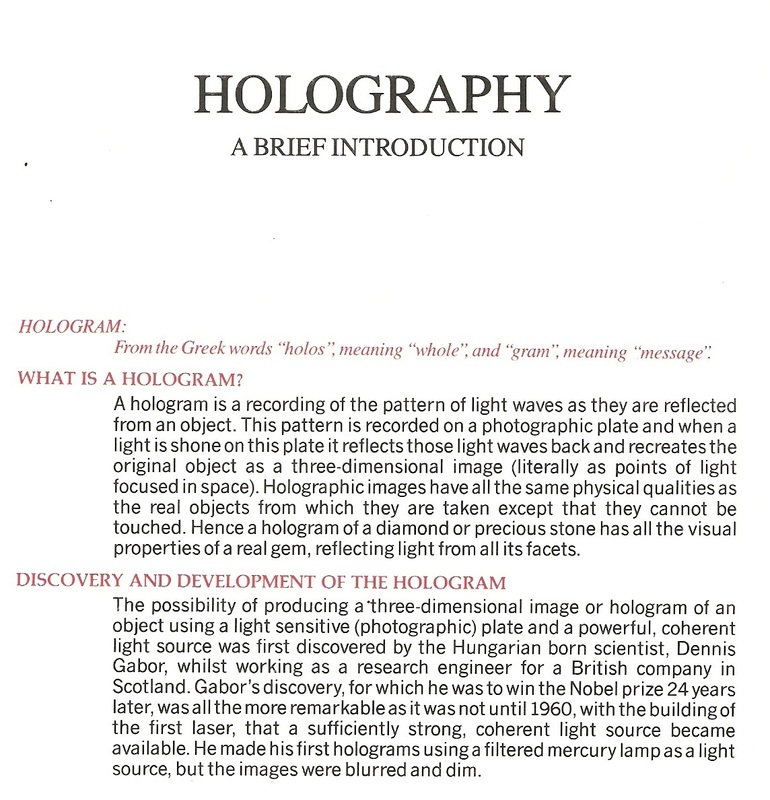 Hologram: From the Greek words “holos”, meaning “whole”, and “gram”, meaning “messige”. 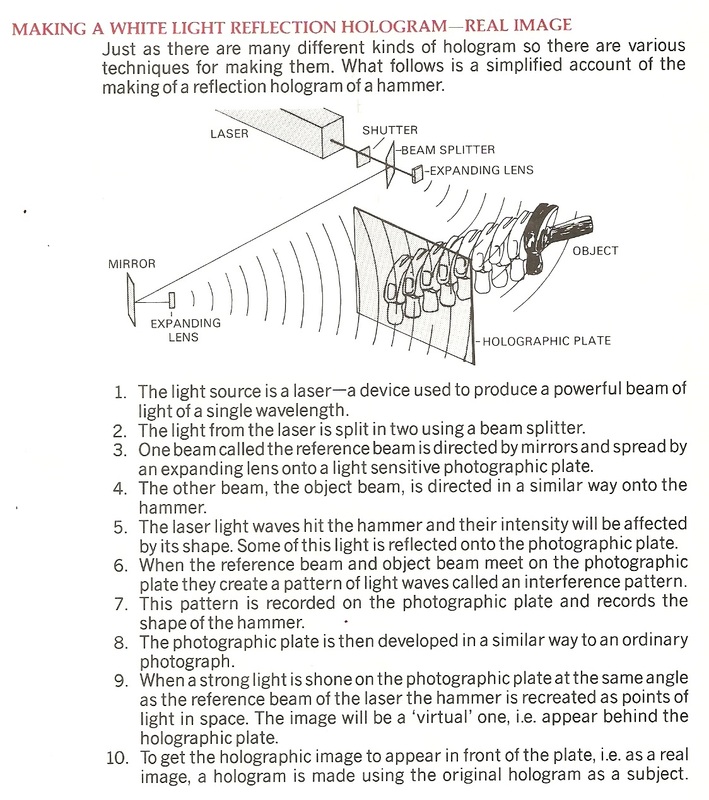 Watch out there is a trap at internet! 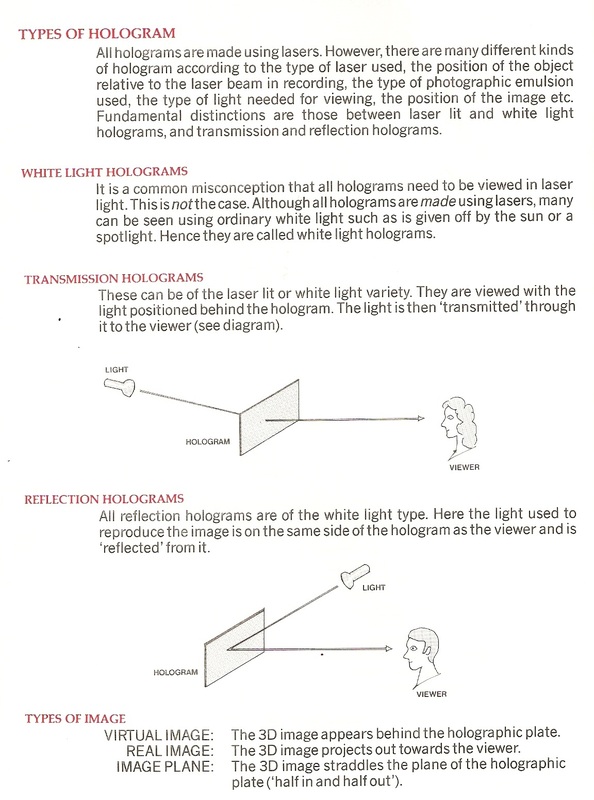 70 % of hologram at internet is not hologram – NO LASER, NO HOLOGRAM!